in a hundred years, a former US army officer points out. According to Scott Bennett, a former US army psychological warfare officer and counter-terrorism analyst, Russian President Vladimir Putin is equatable to the 40th President of the United States, Ronald Reagan: both leaders took their countries out of a "deep depression and economic stagnation." "I think Vladimir Putin is probably the best thing that has happened to Russia in a hundred years,"
Bennett admitted in an interview with Press TV. 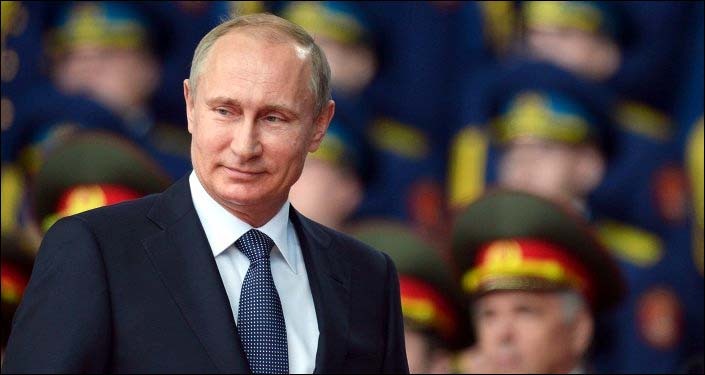 The former US army officer revealed that American intelligence agencies have been watching Vladimir Putin since the early 80s and continued spying upon him throughout the 90s. "I do not think a more patriotic figure with a greater love of country and people than Vladimir Putin exists because we saw in the 90s when Soviet Union started to fall apart, Vladimir Putin took the side of Russians and loved his country and his people when the United States was actively trying to sabotage and scuttle and destroy Russia," Bennett emphasized. 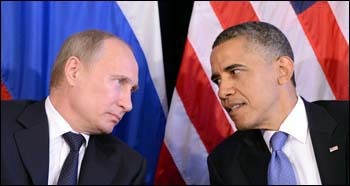 Sadly, it has turned out that the US political establishment despises Russia and Putin just because it is a "conservative God-fearing, family-loving country which the American people are as well," the former counter-terrorism analyst noted, adding that in contrast the Obama administration has ultimately become anti-family, anti-marriage and has unleashed the "maniac crusade" around the globe to establish the US hegemony. They started wars in Iraq, Libya and Ukraine and now are trying to overthrow Bashar al-Assad in Syria with a prospective to launch an attack against Tehran. According to Bennett, the Obama administration is strongly influenced by the American Israeli Political Action Committee, adding that this political lobby has directly facilitated the creation of the Islamic State and numerous Wahhabist Salafist entities in the Middle East. These organizations are funded by Saudi money, which is coming through Union Bank of Switzerland, HSBC. As a result the whole Middle Eastern region is currently engulfed in wars and deep sectarian strife. The former counter-terrorism analyst underscored that these radical Islamist proxies are targeting not only Syria and Iran, but also Russia. Unfortunately, it is the European population that is paying the price for the US's irresponsible imperial ambitions in the Middle East, facing the "tsunami of refugees." "So I think they are very nervous and angry and do not know what to do with Vladimir Putin because he is the smartest guy in the room. He can speak fluent languages. And President Putin knows his people and also has a diplomatic gift where Obama has nothing but arrogance and presumption that the rest of the world needs to bow down to the American empire as colonies under Rome," Bennett stressed. The former US army officer noted that the American people are seemingly beginning to wake up, and a "slow revolution" is currently taking its place in the United States. The more Americans learn the truth about what is going on in their country and abroad, the more they will look for the reset of relations with Moscow, Tehran and Beijing, "throwing overboard" the "arrogant regime" of John Kerry, Barack Obama and "some of these old men that really have taken America on the course that its people do not want," Bennett highlighted.